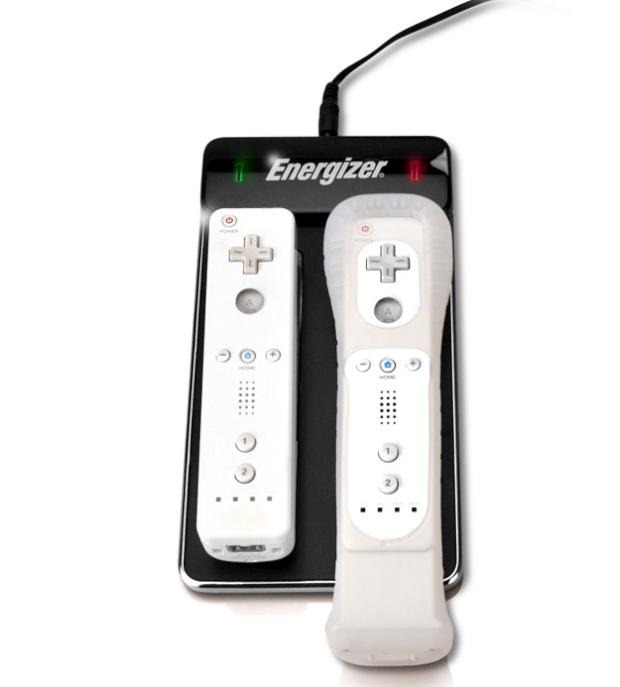 Available starting today, the $30 Energizer Flat Panel 2X Charging System from Performance Designed Products is an inexpensive, quick, and cool way to juice up your Wii remotes. This is an inductive charging system, meaning that there’s no need to connect any cables between the charging pad and the remote. The NiMH battery packs slips into the Wii controller and is magnetized to align with the special charging area on the black pad you see in the above photo. It’s a pretty neat feature that’ll add some much needed class to “Busch Light and Wii Bowling Thursdays” that have made your house so popular. Simply place the remote on the pad and watch it wiggle itself into the correct charging position like magic. At $30, the system is priced somewhere between entry-level and mid-range Wii remote chargers. I can tell you that without knowing the price beforehand, I assumed it’d retail for around $50 when I first took it out of the box and set it up. So there’s that. The battery packs are nice and hefty and hold a charge for about as long as standard AA batteries – maybe a tad shorter, but not enough to make a huge difference. 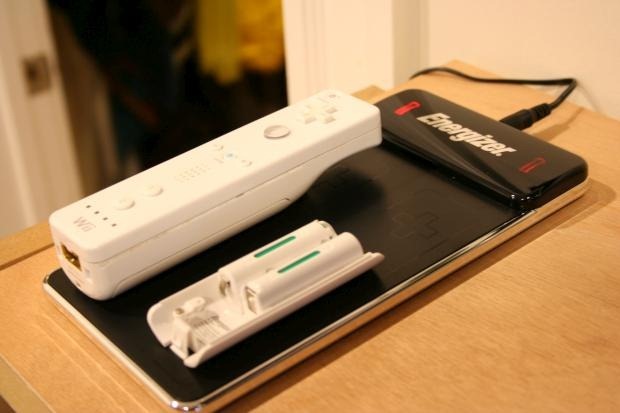 If you’ve been using regular batteries for your Wii remotes up until now, you’ll definitely appreciate switching to rechargeable ones over the long haul. And with inductive charging, you’re able to charge your Wii remotes without taking off any protective silicone jackets or the MotionPlus add-on. Recharge time is refreshingly quick for an induction system. Inductive charging generally takes a bit longer than standard recharging systems but the technology has come a long way over the past year or so. The system I reviewed in March took a long time to recharge – overnight, pretty much — whereas this Energizer system takes about 3-4 hours. Overall, I can safely recommend this product as a solid purchase for anyone looking for an attractive induction charger at a decent price. Battery life is good, recharge time is quick, and the magnetized charging surface adds a touch of cool for good measure.